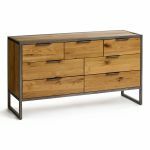 This stylish wide metal chest of drawers from our Brooklyn range brings fantastic storage and modern looks into your home. 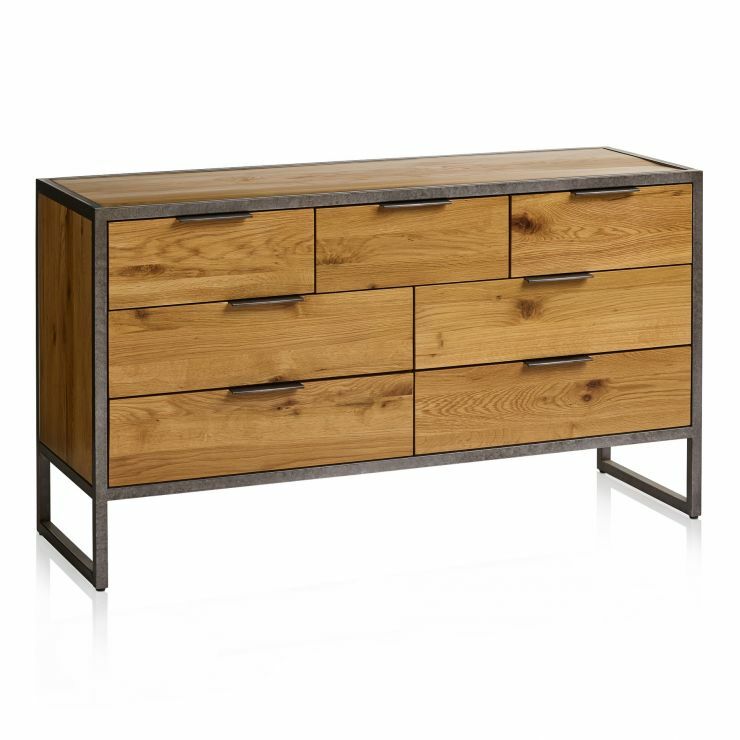 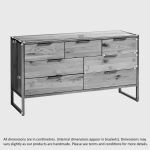 Inspired by loft style and industrial design, the Brooklyn range features an open metal frame, complemented by plain-fronted solid oak drawers, and sides. 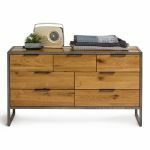 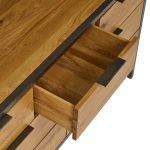 The drawers are expertly finished; they have slim metal tab handles to complement the frame, and each features real dovetail joints which add to the strength and durability of the piece, standing up to whatever you store within them. 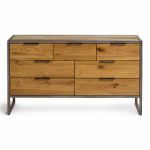 They also boast solid oak bases, backs, and runners too, as we pledge to only use the finest materials in our products. 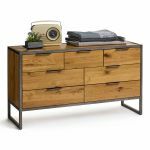 Don't forget to browse the full Brooklyn range today to discover more great bedroom furniture pieces, all with free delivery as standard!